WordPress is the most popular way to build a website. But despite its popularity, there’s one question that many new users still struggle with – what’s the difference between WordPress.com vs WordPress.org? If you search for “WordPress” on Google, the two websites will rank #1 and #2. And if you’re new to WordPress, you might not know which one to use. 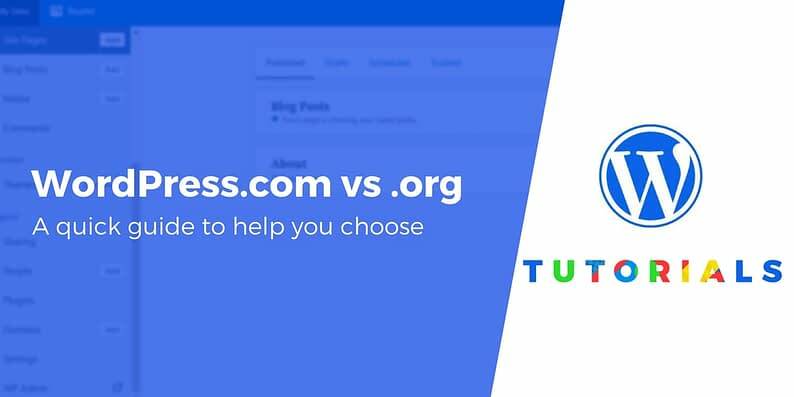 This article will explain the key differences between WordPress.com vs WordPress.org and help you pick the best one for your needs. The WordPress software, located at WordPress.org, is a free, open source content management system. To use the WordPress software, you need to install it on a web server. And that’s the key difference between WordPress.com vs WordPress.org. If you download WordPress from WordPress.org, YOU host it. You set it up with your own hosting provider and use it on your own website, which gives you a ton of flexibility. This is why WordPress.org is often also called self-hosted WordPress. WordPress.com, on the other hand, is a blog/website platform based on the WordPress.org software. Instead of needing to download the software and host it yourself, you can just sign up for a WordPress.com account and have a working website right away. If you do want to use your site for a commercial purpose, you will have to pay at least $8 / month on your WordPress.com plan + the cost of a custom domain name usually in the range of $15 / year. In total, this means at least $111 annually to run a site on WordPress.com. With WordPress.org, on the other hand, you can launch a completely functional website at $35 for the first year and then $50 every year after that. 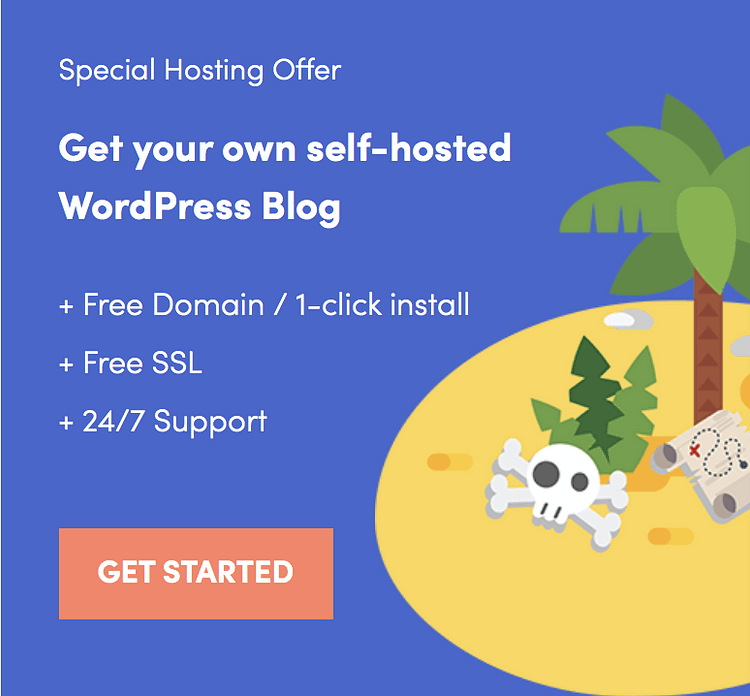 From a user’s point of view, Bluehost works similarly to WordPress.com – as in, you sign up, pick a hosting plan, tell them to install WordPress for you, finalize the purchase and you’re good to do. Plus, what you also get is complete freedom over what you want to do with your site – something that WordPress.com doesn’t give you. 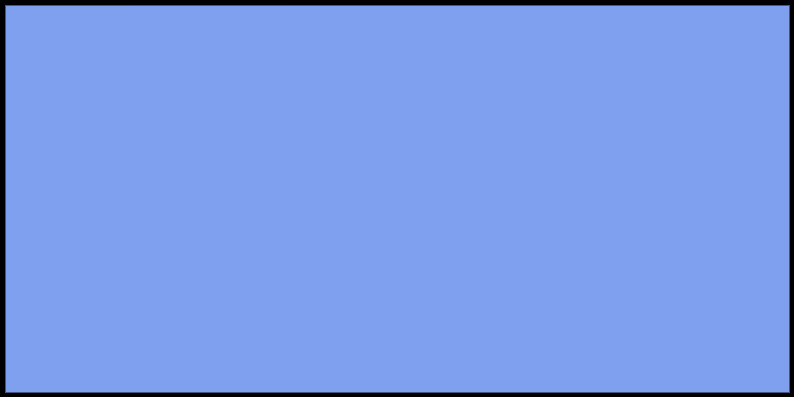 Go here to get started with Bluehost and WordPress.org. With WordPress.com, you don’t have to worry about purchasing hosting or maintaining your site. It also can be free, though there are paid plans as well. The free plan limits you to 3GB of data and a subdomain (like mywebsite.wordpress.com). It also includes WordPress.com ads. Furthermore, you won’t be able to install your own “plugins” or “themes” unless you pay for the expensive business plan. Plugins and themes are one of the most helpful things about the WordPress software because they make it easy to customize your site, so that’s a pretty big loss. If the thought of changing a domain name server (DNS) or backing up your website data sounds incredibly daunting, WordPress.com may be the way to go to create a basic blog/website. But if you want any kind of flexibility, plan to monetize your site, or want your site to grow in the long run, WordPress.com can be very limiting. WordPress.org has to be set up with your hosting provider. In most cases, this is a simple one-click install, and is really easy. In fact, if you purchase your domain name from your hosting provider, you don’t even have to worry about changing DNSs. It will be done for you! Plus, WordPress.org has much better customization options. You’re able to install plugins, use custom website themes, and do just about anything you want with your site. You can also monetize your website however you want, which is great if you’re planning to make it a business. If you want full control over your site and the best possible options, go with WordPress.org. Even though there’s a bit more of a learning curve, in the long run you’ll thank yourself for making this decision. Ready to get started? As mentioned, we recommend Bluehost as the place to launch your WordPress website. The setup is easy and they help you along the way, too. 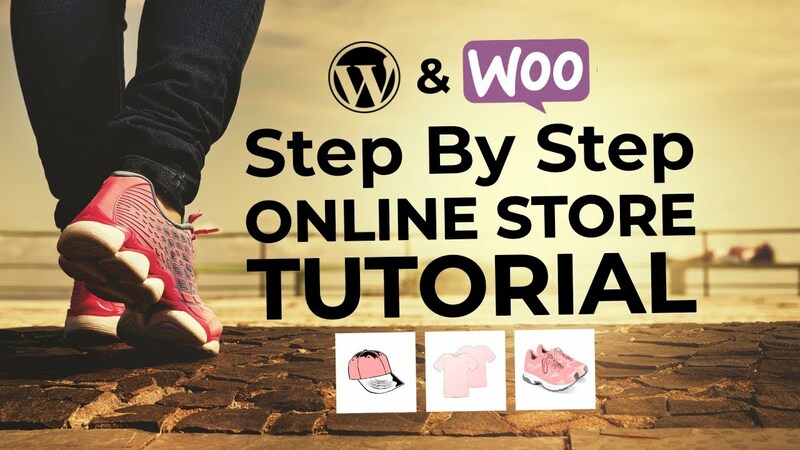 For more guidance, here’s our 15 minute tutorial to starting a WordPress website. Have any other questions about WordPress.org vs WordPress.com? Leave a comment and we’ll try to help out!.